SportsBetting.ag is a reputable licensed sportsbook in the industry and is part of the BetOnline brand. They accept bettors from many different countries, including the US (all 50 states). SportsBetting currently offers a Welcome Bonus of 75% up to $1,000 on your first deposit. They also have a 25% match bonus up to $1000 on all subsequent deposits for life with their Lifetime Bonus Guarantee, one of the best bonus packages in the industry. The site operates out of Panama and is licensed and regulated by their presiding government. They have similar wagering types, betting lines and odds to those of BetOnline and also have added features like live and mobile betting. . Read our full review of SportsBetting.ag to gain a better understanding of the online sportsbook. Is Sportsbetting.ag Site Legally Sanctioned And Regulated? Yes. SportsBetting.ag is licensed and regulated out of Panama City, Panama. The sportsbook has the regulatory oversight necessary to maintain a high-quality gambling business and also holds compliance certifications for multiple aspects of their online site, including RNG (Random Number Generator) technology utilized in their Casino and Poker sections. Does Sportsbetting.ag Accept US Players? Yes, the site accepts all US players from all 50 states. 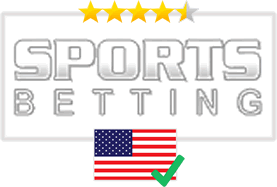 Visit our US sports betting page or our reviews page to find all reputable sportsbooks that accept USA players. What Countries Does Betonline Restrict Players From? The following countries are not allowed to bet with BetOnline—United Arab Emirates, Albania, Switzerland, Algeria, Estonia, Japan, Malaysia, Tunisia, Turkey, New Zealand, Russia, Oman and Vietnam. SportsBetting has a Welcome Bonus for new users of their sportsbook that grants you 75% up to $1,000 with your first successful deposit. Being a BetOnline brand, they also have a 25% Bonus For Life that gives you a 25% bonus on qualifying deposits (minimum $50 deposit). Their Refer-A-Friend program grants you $100 in Free Plays for each friend you bring in. They have some Sportsbook exclusive bonuses, the first of which being their $25 Free Live In-Game Betting. When you make a $25 bet with SportsBetting’s live betting section, all losing bets are reimbursed with $25 in Free Plays (6x rollover requirement). Their $50 Mobile Betting Free Play is the same thing, only with their mobile betting feature. Losing bets up to $50 will be reimbursed up to their respective amounts in Free Plays (6x rollover requirement). SportsBetting’s Reduced Juice for NHL Betting offers 10-cent lines on NHL bets, saving you money when compared to 20-cent lines at other sportsbooks. Their MLB Dime Lines go all the way up to -185 odds and no other sportsbook takes their MLB dime lines to that level. This offer stands from Opening Day to the end of the World Series. SportsBetting’s betting lines cover sports from around the world. They have lines on the most popular sports including football (professional and college), baseball, basketball, hockey and soccer. They also feature betting lines on boxing/MMA fights, cricket, lacrosse, snooker, darts, auto/horse racing and more. You’ll have no shortage of available betting lines with SportsBetting. The wagering types offered through SportsBetting include point spread bets, money line bets, over/under bets, parlays, teasers, futures, props and more. These different wagering types allow players to go outside of the box when it comes to sports betting, creating more opportunities to place successful bets. Live betting has its own procedures, as the rules change per sport, but it is a simple and exciting way of betting. The odds are similar to what you would find in Las Vegas. You can use Visa and Mastercard on SportsBetting. There is a minimum deposit level of $50 and a maximum level of $5,000. You can access your funds as soon as they are deposited into your account. Fees vary depending on your financial institution and SportsBetting has no power over the fees set out by such an organization. Digital Crypto-Currency – Online currency is the fastest way to conduct transactions through SportsBetting. Bitcoin and Litecoin are the two digital currency options and come with no fees. There is a minimum deposit of $25 and a maximum deposit of $25,000 associated with both forms. BillPay by Money Gram – MoneyGram has a BillPay service that can be used for deposits. You will receive a Trace ID and Control Number once you have initiated the deposit and then you can transfer it over to your SportsBetting account. Minimum deposit of $100 required with a maximum deposit of $900. Western Union Person To Person Money Transfer – You can wire money into your sportsbook account via Western Union. Minimum deposit amount of $100 and maximum amount of $500. All necessary information like Control Number provided upon successful deposit. MoneyGram Person To Person Money Transfer – MoneyGram’s transfer method involves a minimum deposit of $50 and a maximum of $500. Necessary transfer data will be given. RIA Person To Person Money Transfer – If you choose to wire your deposit through RIA then you will have to adhere to their minimum deposit of $50 and maximum of $500. Wire Transfer – There are other wire transfer services available. All you need to do is communicate with the appropriate cashier to get the routing information for the transfer. Book to Book – This method allows you to send funds to another sportsbook that is within the sportsbook network (BetOnline, in this case). Cashier’s Check/Money Orders – Processing time takes longer via this method because of the mail transport, but this method is more confidential than submitting your credit or debit card information online. Bitcoin – The digital currency platform is one of the most popular payout methods. It is also the fastest. There are no transaction fees associated with Bitcoin payouts and processing can take up to 48 hours. Minimum payout amount of $20 and a maximum of $10,000 required. MoneyGram – MoneyGram withdrawals come with a minimum of $50 and a maximum level of $400. Transaction fees vary based on the withdraw amount and payouts should process in about five business days. Check By Courier – Checks take seven business days to deliver due to mail carriers and there is a $50 fee tacked onto each withdrawal request. Bettors must adhere to the $500 minimum payout and can withdraw up to $2,500. Bank Wire – Bank Wires take the longest to process at fifteen business days. There is a minimum withdraw level of $500 and a $24,900 maximum. Any transaction fees incurred depend on the payout amount. Transfer to SportsBetting.ag – Similar to a Book-to-Book deposit. Allows you to transfer your winnings to another sportsbook brand in the same network. There are no fees for this method, but a minimum amount of $500 and a $24,900 maximum. Transactions are processed within one business day. SportsBetting offers several ways to get in contact with their customer support department. You can reach them by phone at 1-888-843-9027. They have several email accounts that cater to different aspects of the site. For sportsbook needs, you can email their General account at cs@sportsbetting.ag. They also have a Live Chat service available 24/7 that connects you with a customer support representative who can address any questions or concerns. If you’d like to take your betting on the go, SportsBetting has a mobile version of their site that is easily accessible from any tablet or device. Simply enter the site’s URL into your mobile browser and you’ll be taken to the site directly with no app download required. The mobile version is able to function the same as the web version across a variety of devices and carriers due to responsive design technology. You’ll find the same betting lines and wagering types offered on the mobile version. Their $50 Mobile Betting Free Play bonus is a great incentive to try out the feature at no risk to you. SportsBetting also has a Live In-Game betting feature that puts you in the center of the action. You can place bets in real time during sporting events. These betting lines expire quickly but allow you to engage with your favorite sports in a unique way. SportsBetting’s $25 Live In-Game bonus gives you the chance to try out live betting without risking any of your own money. Are The Betting Odds Comparable With The Odds From Vegas Bookmakers? Yes. All of SportsBetting’s odds are similar to the ones you would find in a Las Vegas sportsbook. Bettors can rest assured they are getting the best odds with the convenience of being from a licensed online sportsbook provider. Is It Safe To Place Bets On Sportsbetting.ag? Yes. SportsBetting has a strong security profile that uses data encryption to secure your personal and financial information. You won’t be asked to enter any financial information until you are ready to make a deposit into your account and your personal information is only needed for identity and location verification purposes.